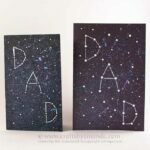 Your dad is definitely out of this world, so give him his very own constellation with this fun galaxy themed Father’s Day Card. I will show you how to achieve this look! Fold paper into a card. 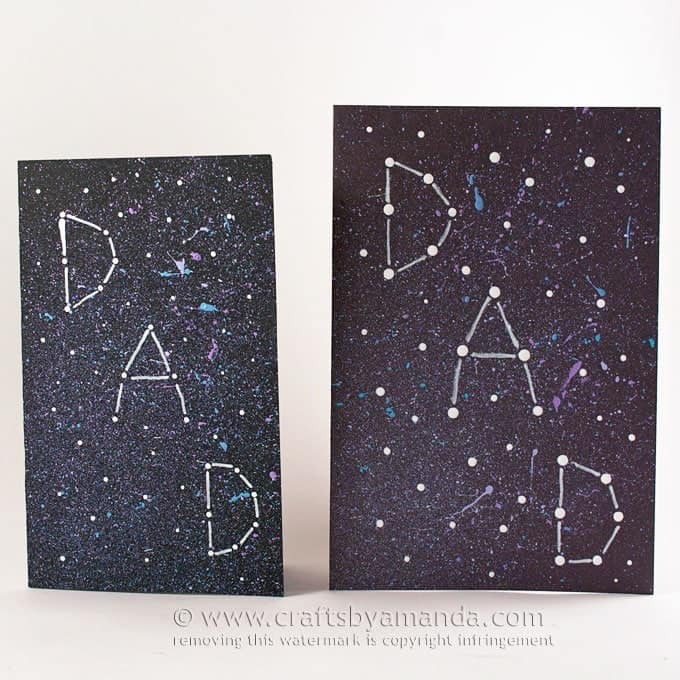 Use a paintbrush to splatter paint onto the front of the card. Do this by dipping the toothbrush bristles into the paint then dabbing off the excess onto a paper towel. Test first by holding the bristles over the paper and running your finger across the bristles. Do this with blue, then purple and finally with white. Keep splattering until your are happy with how your galaxy looks! Use the handle end of a paintbrush (this is best for larger paper like construction paper) or a toothpick to add the constellation. Just create a "connect the dot" for the word "DAD". Use a white paint pen to connect the dots. Finally, add more stars with the handle end of your paintbrush or your toothpick. This looks like a wonderful project. I can’t wait to do it with my Summer School class. Thank you for posting it along with the instructions. I teach a special ed class of jr. high boys with autism. Not always so easy to find that perfect project (especially for Father’s Day) Thanks again! How wonderful Laura, and thank you for all you do!